Welcome to Harborview Realty, here on Marco Island! Our team has been serving Marcos Island Real Estate and Naples communities for over 30 years. Led by our Broker and Owner, Jim McGregor, our team of agents is ready to help you with your real estate needs. Our agents come with a large variety of skills to assist you with your specific real estate goals in Florida. Our Marco Island real estate website has been designed for your convenience and if there is anything that we can do to help, please don’t hesitate to reach out to us;. Not sure where to start? Check out our Featured Communities page to help explore some of our local neighborhoods and condominiums. Let’s begin with an introduction to Marco Island. The island is famous for its crescent beach which is seen here. Did you know that we even rake our beach down here so that it stays in optimal condition year round? In addition to our crescent beach, Marco Island is home to so many fantastic outdoor activities. Whether you are a boater, golfer, recreational fisherman or tennis player, Marco Island real estate has so much to offer anyone who enjoys spending time outdoors or is looking for some rest and relaxation! 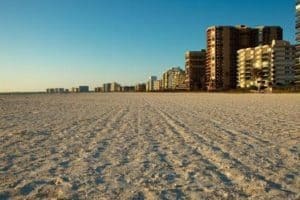 Condos For Sale In Marco Island, FL – admittedly most of Marco Island real estate are condos. Many of those wishing to buy a condo or home on Marco Island, buy a condo and rent it out for part of the year. Homes For Sale in Marco Island, FL, – There’s very few options in single family residences here in Marco Island, but we’ve segregated the homes from the condos understanding that you might have a preference. What about living in Marco Island? Paradise is just a few clicks away from here. Marco Island is home to a variety lifestyles. In single family homes alone, this island has choices of beachfront, gulf front, golf course and traditional inland homes. Whatever you envision as your tropical getaway, Marco Island can make it a reality. Are you thinking that while a home is nice, but you might prefer a condominium instead? Marco Island real estate is home to lots of condo options as well. With so many options, Marco Island real estate has something for every type of buyer. Maybe you like the idea of island living, but you think city life is more of your speed? Well, that’s easy! Just hop over the bridge from Marco Island and you’re in Naples, Florida which is a wonderful city with lots of great restaurants and various forms of entertainment. Whatever you’re looking for, Naples has it! Whether you prefer live performances, boutique shopping, a day at the botanical gardens or fields to play a soccer match, Naples has it all and so much more. From a real estate standpoint, if you can dream it, homes for sale in Naples FL have it! Whether you prefer some privacy and are looking for acres of land or are looking for a golf community such as Treviso Bay, Naples has something for everyone. Might we suggest starting your search in a master-planned community such as Fiddler’s Creek or a world renowned community like Lely Resort? Paradise is just a couple clicks away! Contact us and we would be gladto help you jump start your Marco Island home search. Thanks! Harborview Realty for helping me purchase my home on Marco Island. The whole staff did a terrific job from start to finish and I couldn’t be more thankful. Jim is the Licensed Broker/Owner and President of Harborview Realty, Inc. and Harborview Rentals. Jim is originally from Bethesda, Maryland. Since 1990, Jim has grown the company on both the rental and sales side. Jim is your Marco Island specialist in real estate sales/listings. Jim was also awarded Realtor of the Year in 2014. Our Harborview family is devoted to helping you with your real estate transactions. Through our hard work and intricate knowledge of the area, you will see why Harborview Realty is one of the premier names in real estate here in Marco Island Florida. Are you looking for a primary residence or a vacation home? Contact someone who has worked and lived in the community for 30 years! Are you looking for investment property? Don’t you want to talk to someone in the community who actually handles rentals and understands the income potential of each building and home? We understand your needs because we have been helping the needs of others in our community for so many years! You deserve the best service possible and we are here to deliver.